Around 1988 the Alabama King Brand name was created by the late Cecil M. Webb, founder of Dixie Lily. At the time Dixie Lily was known for their medium ground meal. 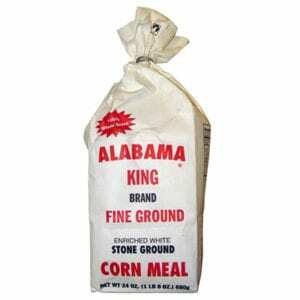 Customers began asking for a finer ground meal, so Mr. Webb decided to provide them with a finer meal product which he named Alabama King since the majority of the calls requesting the meal were from Alabama. The Alabama King brand name became part of the China Doll family in 2005.